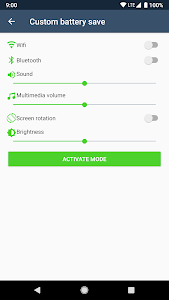 This application allows you to save your phone or tablet's battery power, optimizing usage and helping you extend your battery's life. 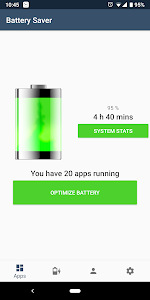 ✦ Battery optimizer: thanks to how this app helps you stop running applications, you save battery power. 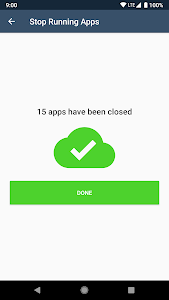 It allows you automatically to close applications that are draining your battery so as to extend your battery life and health. In addition to reducing consumption, this will help cool down your phone. 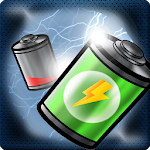 ✦ Battery monitor: the best battery doctor is here. 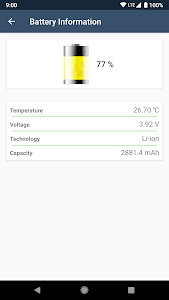 Learn detailed and relevant information about your battery: temperature, voltage, technology, capacity, etc. 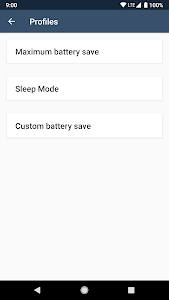 ✦ Saving modes: use predefined modes to save battery power, or create your own mode by configuring to your liking the system options that affect battery usage. 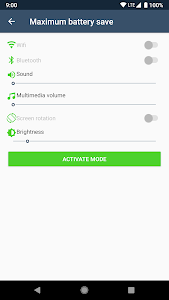 Maximum saving mode, sleep mode, charge battery fast mode, etc. 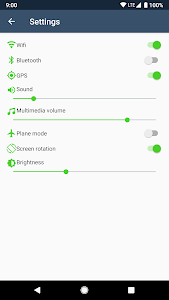 ✦ Tools and settings: access quickly all of your phone's features that affect battery usage, you can activate them, deactivate them, change their settings based on your preferences: GPS, Wi-Fi, Bluetooth, brightness, vibration, etc. Warning: if your battery is damaged or doesn't work right, you might need battery calibration. 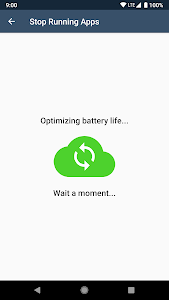 This app is to optimize usage, and it can't repair or calibrate a battery. Similar to "Battery Saver & Battery Doctor"